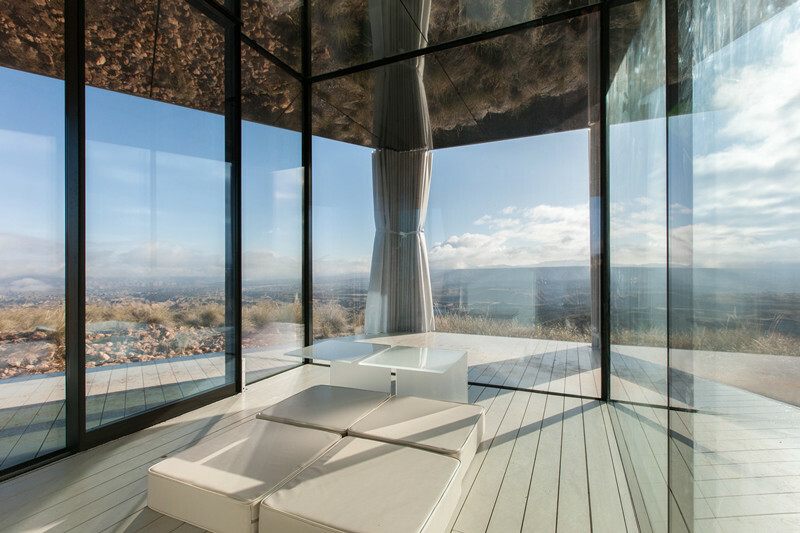 Challenging nature and designed to withstand the Gorafe Desert (Province of Granada, Spain), which is considered one of the most adverse and extreme environments in Europe, La Casa del Desierto stands on a wooden structure and is fully glazed with high performance, energy-efficient Guardian Glass. Covering only 20m², the layout consists of three areas: bedroom, bathroom and living room. 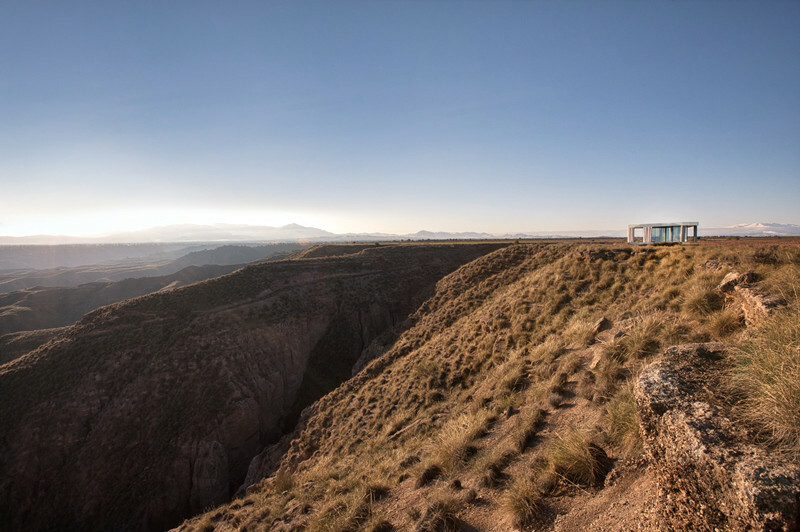 A large space directly overlooking the landscape, La Casa also has a water filtration system, an energy generation system and a set of photovoltaic panels. The design is the result of the combined efforts of a large and experienced team of architects led by Spela Videcnik of OFIS Architects – together with Guardian Glass specialists and engineers and energy consultants from AKT II and Transsolar. The vision is to meet current and future challenges of architecture and construction, promoting environmentally friendly and energy efficient structures. 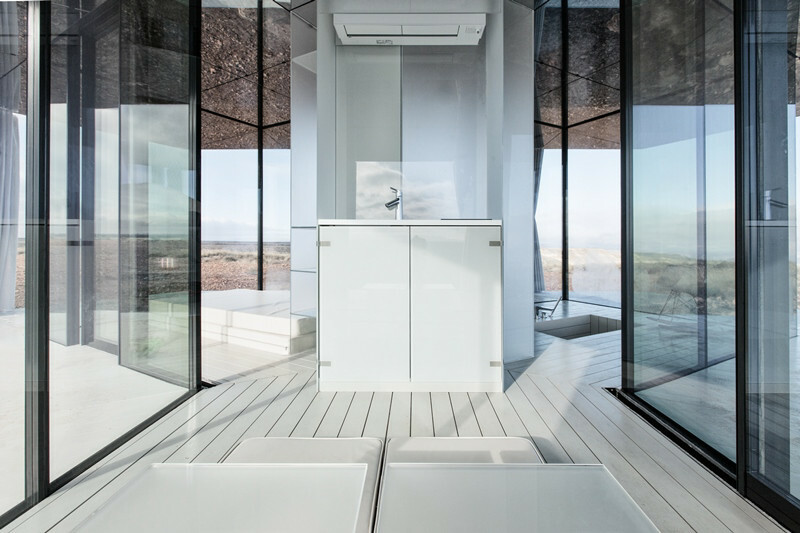 A project where the glass type used to enclose each space has a direct impact, demonstrating that it is possible to transform the interior environment of a home by selecting the most appropriate glass for each situation. Located in the northern part of the region of Guadix, in the province of Granada, Andalusia, the desert of Coloraos de Gorafe owes its name to the shades of its red sandstone and to the diversity of rock formations in the area shaped by the peculiarities of the erosion system and the lack of vegetation. Thousands of years of erosion have created the “Badlands”, so called because of their extreme aridity and ravine-like appearance. Canyons, gullies, ravines, canals and other similar geological formations compose the general landscape of this desert, which is considered one of Europe's most adverse environments. Guardian Glass, a major business unit of Guardian Industries, is one of the world’s largest manufacturers of float, coated and fabricated glass products. At its 25 float plants around the globe, Guardian Glass produces high performance glass for use in exterior (both commercial and residential) and interior architectural applications, as well as transportation and technical products. Guardian glass can be found in homes, offices, cars and some of the world’s most iconic architectural landmarks. The Guardian Glass Science & Technology Center continuously works to create new glass products and solutions using the most advanced technology to help customers see what’s possible®. Visit www.guardianglass.com.